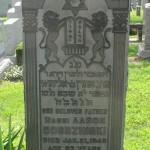 Directions to Kever: Riverside Cemetery in Saddle Brook, NJ maintains computerized records and will provided a detailed location map upon request. He was the uncle of the famous Cantor Shmuel Vigoda. 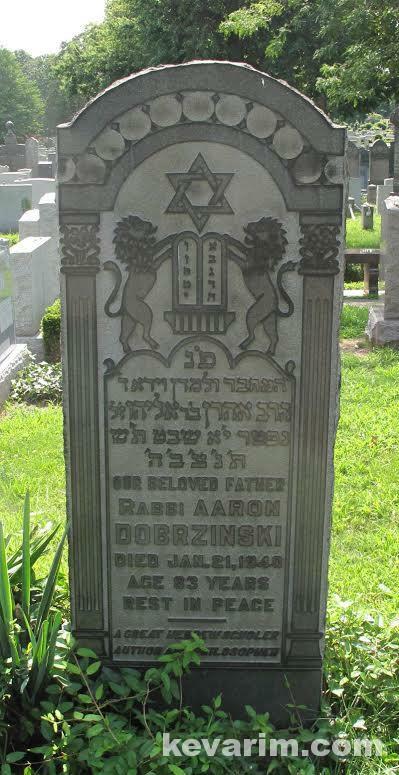 The cantor’s father Shraga Feivish (born in Poland and lived in Hungary) was a brother in law of R Aharon. 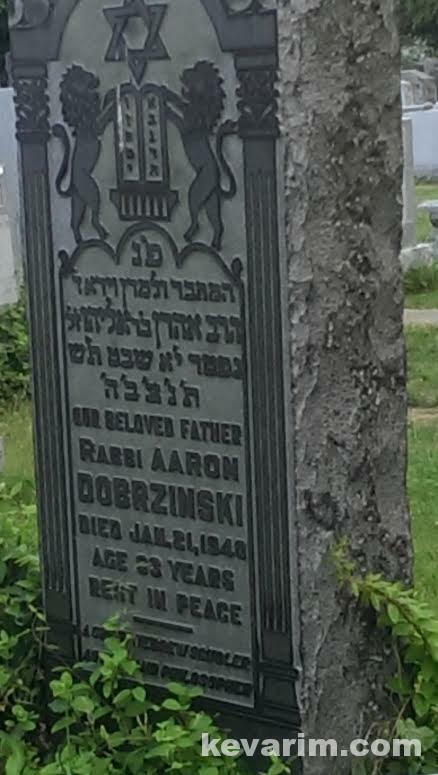 He was born in Kutne, Poland, into a prominent Hassidic family. 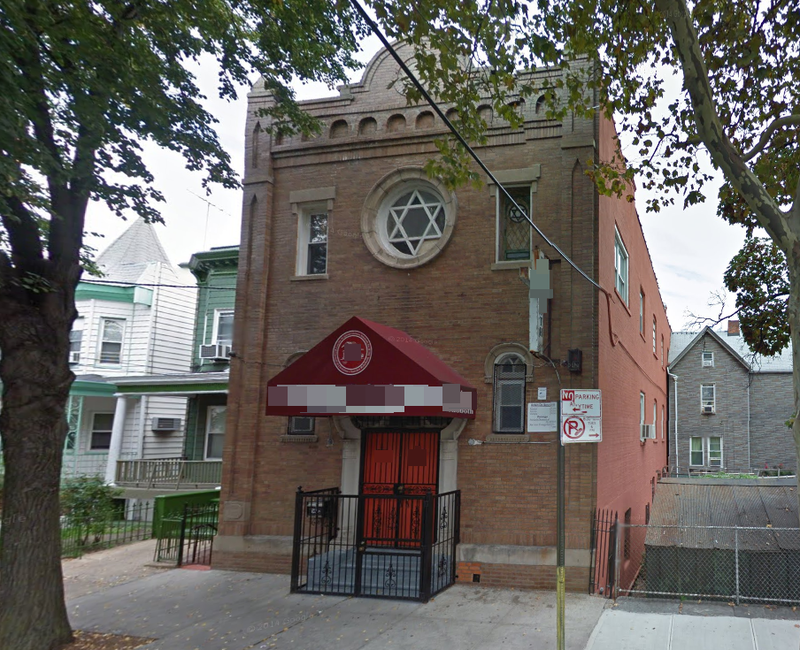 He studied in religious elementary school and in the synagogue study hall. 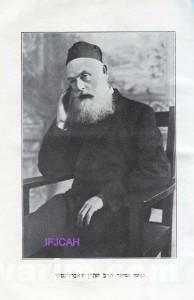 He later became a disciple of the Gaon R. Yehoshuele Kutner, and from him he received rabbinical ordination. In 1900 he emigrated to the United States and became a ritual slaughterer. At the same time he studied languages and secular subject matter. He was at one time rabbi at the Bnei Yaakov school in New York. He contributed to Y. D. Ayzenshteyn’s [Judah David Eisenstein’s ten-volume] Hebrew-language encyclopedia, Otsar yisrael (Treasury of Israel), and to the Hebrew newspapers Haivri (The Jew), Hamitspe (The watch tower), and others in New York. 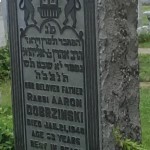 He also wrote articles on Jewish issues and Jewish history and religion for Yidishes tageblat (Jewish daily newspaper) in New York, Der idisher vekhter (The Jewish watchman), Morgn-zhurnal (Morning journal), Der yudisher veg-vayzer (The Jewish guide), and to the English-language Jewish press. 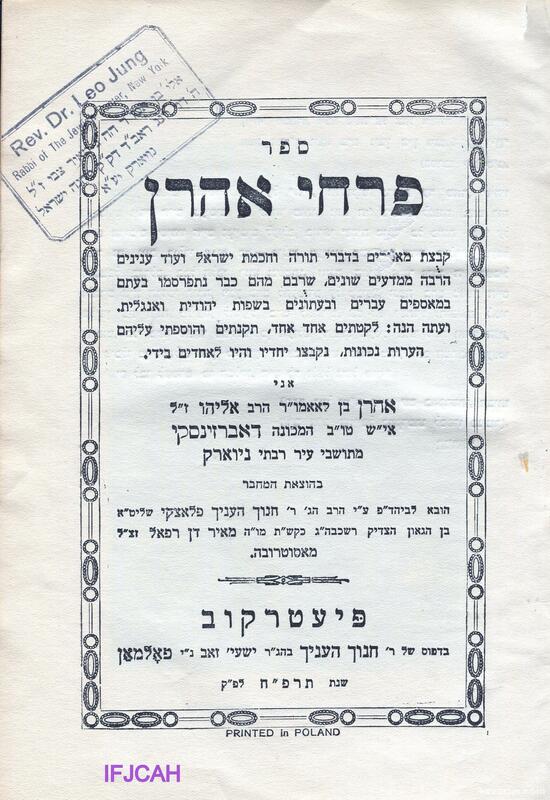 Among his books: Pirḥe aharon (Blossoms of Aharon), a collection of articles in Yiddish (54 pp. ), Hebrew (42 pp. ), and English (34 pp.) (Petrikov, 1928). He also published under the initials: A. D. He died in New York. Sources: Sh. 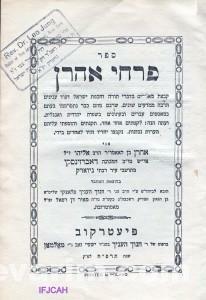 N. Gotlib, Ahale shem (The Jewish people) (Pinsk, 1912), p. 192; Otsar yisrael (London, 1935), vols. 3, 4, 5, 7.